Australia’s longest running and most credible culinary competition for young chefs is well and truly back on the radar. 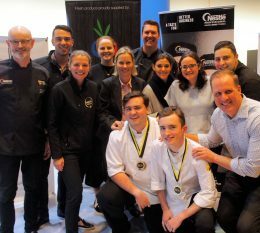 After wrapping up the regional heats last week in NT, ten winning teams are now going forward to represent the country’s top culinary talent in the 2018 Nestlé GOLDEN CHEF’S HAT AWARD national final. The 10 two-chef finalist teams have proved that they can stand the heat and have secured themselves trips to Melbourne this September, where they will battle it out in the national final at Fine Food Australia. 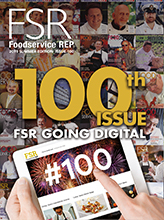 This year’s national winners will be awarded a once in a lifetime culinary trip to Italy. The 2018 national finalist line-up includes a few familiar faces as well as a host of new culinary talent. No stranger to the competition, Billy Fox will be a third-time national finalist for 2018, going forward to represent NSW Metro with first-timer teammate Matt Wills. The pair battled it out against 26 two-chef teams to secure their place in the final with gold medals. “This was my first Nestlé Golden Chef’s Hat and what an experience! I’m feeling awesome and can’t believe we’re in the finals. We are going to give it everything,” Matt Wills. While in Canberra, Nicole Samson (teammate Felicia Mardo) is glad she gave this year’s competition another shot. The Nestlé GOLDEN CHEF’S HAT AWARD offers the next generation of young chef talent a platform to connect with their peers, learn new skills, create amazing dishes, and experience new opportunities to advance their culinary careers.